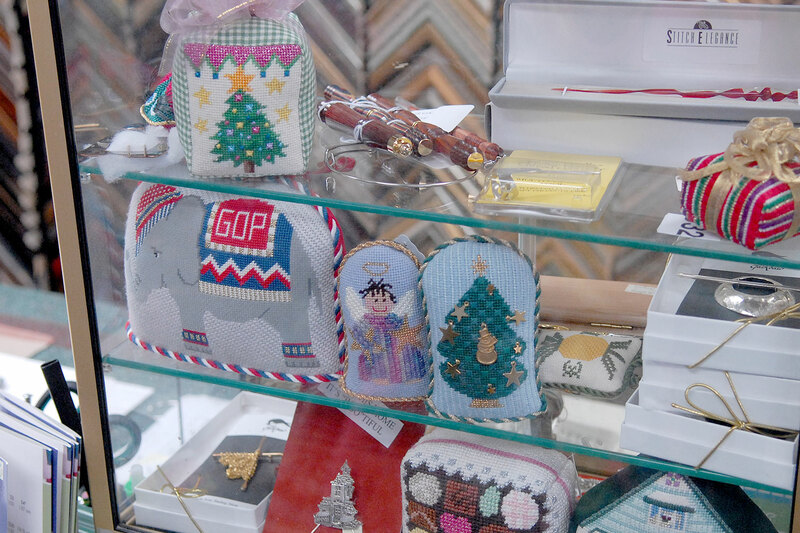 In our finishing department, we can turn your completed needlework into the perfect accessory for your home. Whether it’s a pillow, ornament, belt, stand-up or Christmas stocking, we can customize your work by helping you choose the perfect fabric and trim to complement your piece. Let us help you create your family heirlooms.